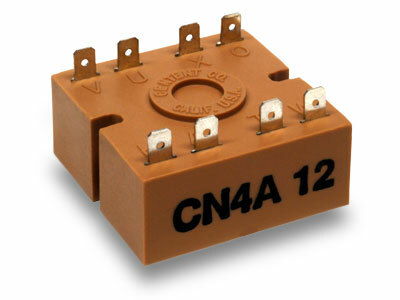 The CN4A12 and CN4A24 are silicon controlled rectifier (SCR) type speed controls for use with 12 / 24 VDC permanent magnet motors. 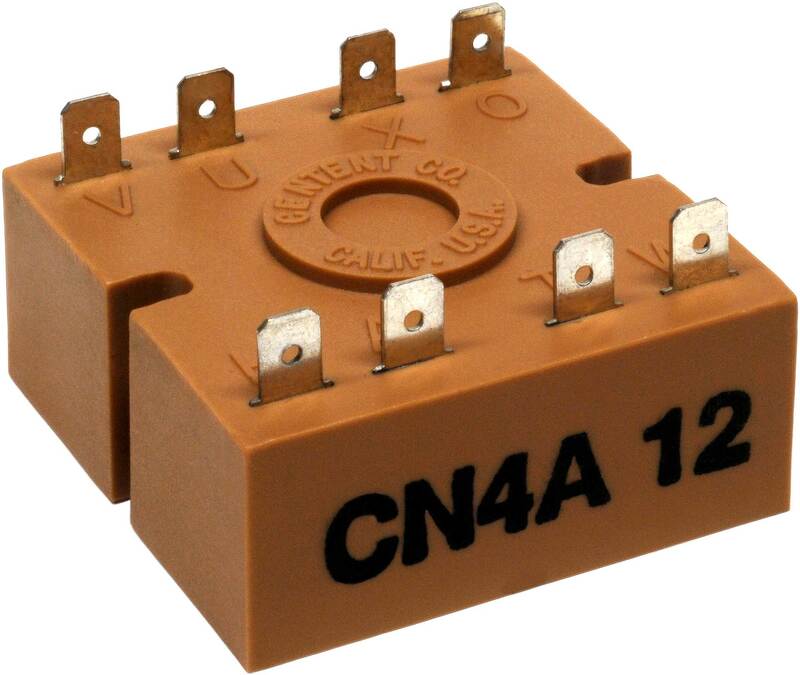 A 12 / 24 VAC secondary transformer and a 5 Kohm potentiometer are all that's required to operate the CN4A12 / 24 with your motor. 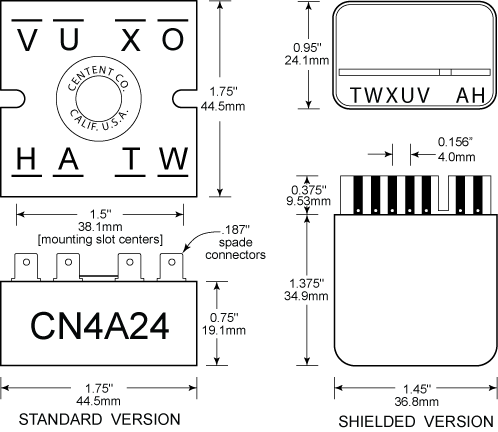 The CN4A12 / 24 will regulate the motor speed to +/- 10% accuracy over a 25 to 1 speed range. The drive is a single quadrant (single direction) speed control. 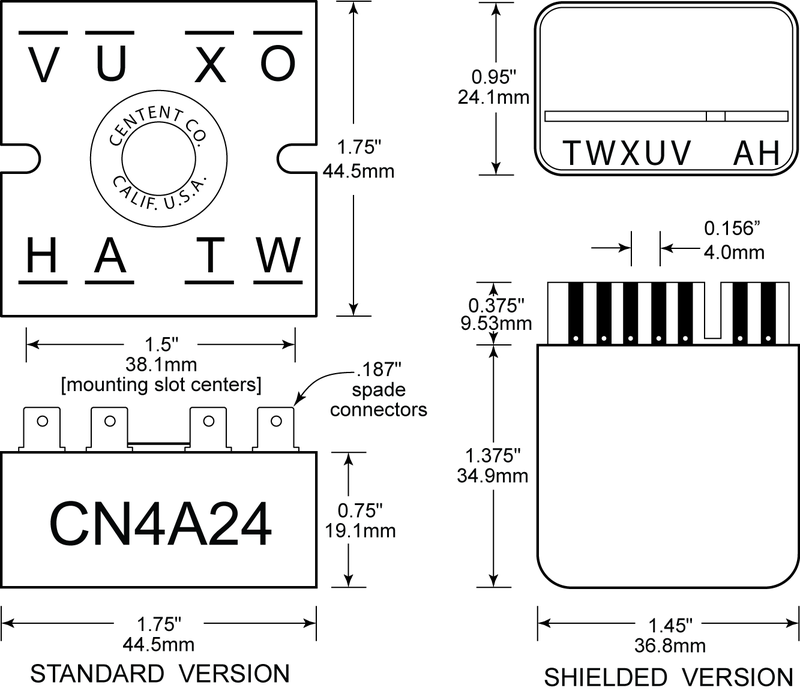 DC permanent magnet motors having stall currents of 4 Amps or less are suitable for use with the CN4A12 / 24. An epoxy encapsulated package using push-on type crimp wire connectors make for a reliable and simple to use speed control. Size: 1.75" X 1.75" X .75"